Economic data is thin on the ground today, with the UK's producer inflation numbers this morning. Along with the CPI, producers have finally been starting to see prices fall and they will hope to see further declines today. The month-on-month input number is expected to come in at -1.3%, leaving the year-on-year figure at +1.3%. Later this afternoon, the US wholesale inventories are expected to tick higher. The surprise move by China, to ease its monetary policy and cut interest rates, triggered a rally in global markets which benefited the euro. Nonetheless, Ben Bernanke had a rather neutral stance in his speech yesterday, deciding not to embrace QE3 just yet. Forex investors seemed to be slightly disappointed by his comments and pushed the euro/dollar market down by 14 points to $1.2562. This morning, weakness from the latter part of yesterday's session has followed through to today. The pair is heading back below the $1.2500 level, currently trading at $1.2490. There's quite a bit of economic data due for release today, with the UK's PMI services data set to fall in line with deteriorating manufacturing and construction figures. The figure is likely to remain above the 50 level but there could be a slightly lower number than the 52.5 expected. We will also see a meeting from the Bank of England today. As with their European counterpart, they are unlikely to bow to investor pressure to add further easing, and they are even less likely to reduce interest rates. The Bank's previous actions have done little to get the recovery going and, perhaps more than anything, they've made things worse by causing higher inflation. The interest rate cuts have also done little to get banks lending to customers at lower rates as they are struggling to meet greater capital requirements. Ultimately, one can ask whether another rate cut or further QE would actually help the current situation. Later on today, Bernanke will speak to congress and he is expected to be grilled over the economy. It will be interesting to see just how much he refers to the Eurozone crisis, as this is something that Obama has been doing in his bid to get re-elected. Although the European Central Bank left its benchmark interest rate unchanged at 1%, it managed to boost the risk taking sentiment in the global markets. This came as the ECB joined other central banks in considering additional monetary stimulus. Encouraged investors moved back into the euro, sending it up by 129 points against the dollar to $1.2577. This morning the forex spread trading pair is just below that level at $1.2550. The euro/dollar forex spread trading market lost 42 points yesterday, which could actually be seen as fairly reasonable considering the negative news. First of all, factory orders and retail sales data came in a lot worse than expected. Then a Spanish official admitted that his government has effectively lost access to the capital markets, and this did not help sentiment. All eyes will be on the ECB meeting and press conference, with some investors even anticipating a rate cut. The risk averse sentiment in the FX markets sent the euro to a fresh 22 month low against the dollar yesterday. There are some concerns that the IMF is making preparations behind the curtain because the Eurozone situation is so complicated. The shared currency closed down at $1.2359 and looks to be under ongoing downside pressure. Later today, the US Non Farm Payrolls report will be closely watched, especially considering that the latest Chinese manufacturing figures disappointed. Forex market sentiment towards the Eurozone is continuing to worsen, as indicated by the rising yields in Spanish and Italian bonds. The threat of contagion is in the limelight, with many wondering if the genie is already out of the bottle. This degradation of sentiment saw further falls for the euro/dollar pair, with the single currency losing 117 points to close at $1.2368, just above the intraday lows. Could this slump be halted by a strong ADP figure this afternoon or a positive Non Farms report on Friday? This morning's financial market data comes in the form of EU confidence figures which are expected to hit a two and half year low. This figure demonstrates how dire things are on the continent and, the way things are going at the moment, it's hard to see them getting any better. Yesterday's downgrade of Spain's credit rating was a major factor in sending the euro/dollar pair to its lowest level in almost two years. The fear that the country's financial troubles are about to escalate encouraged a drop of 52 points to $1.2486 and kept the downside momentum intact. The fact that this bearish trend looks set to continue this morning indicates the lack of confidence that the forex market currently has in the single currency. Nevertheless, the release of Friday's Non Farm Payrolls report could see the focus shift across the pond. Yesterday's breaking news, that a pro-bailout Greek coalition is gathering momentum, sparked an early rally for the euro in the FX spread trading markets. However, growing concerns over the Spanish banking system discarded that initial optimism, adding renewed downside pressure onto the shared currency. In the end, the EUR/USD pair closed at $1.2539. At the time of writing, it is just benefiting from the lift in equities and is trading at $1.2560. With the bank holiday in the US, there is nothing in the way of economic data out today. However, the rest of the week will see US, UK and EU consumer confidence, US GDP data, the ADP jobs number and the big NFP figures on Friday. The EUR/USD forex market continued its plunge on Friday, on the back of renewed speculation that Greece's financial troubles are becoming contagious. It was when Spain's regional governments admitted their struggle with high borrowing costs that the shared currency fell 21 points to $1.2512. 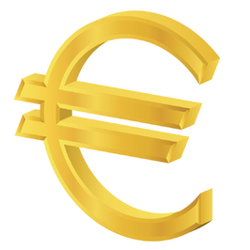 However, the euro opened higher last night, and is on its way for a small recovery, amid expectations of thin volumes.